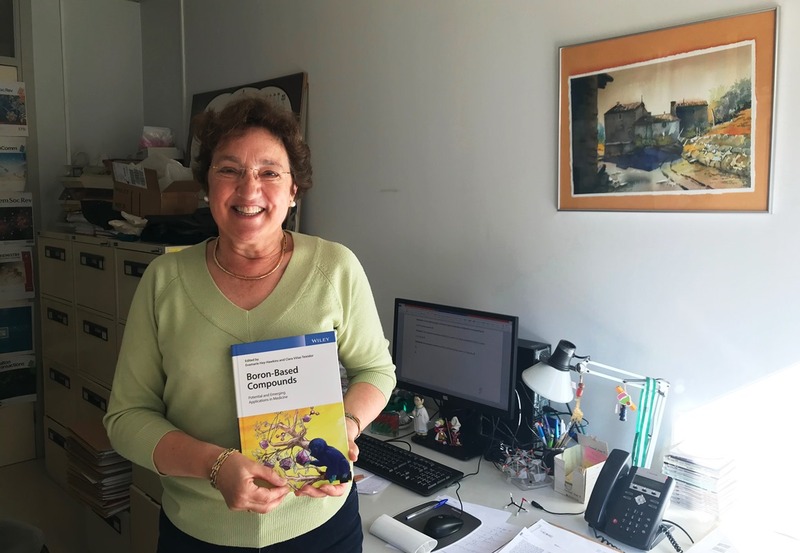 "You can't imagine the work behind this book" affirms Clara, full of joy, showing us a copy of the book; "there is always some extra work that you didn't count on, like indexing the chapters with all the keywords". Wiley proposed Clara and Evamarie to be co-editors of this book after a very successful conference on medicine applications of boron-based compounds in which they were chair-women. They rapidly agreed and, after some years, we finally have this book with us. You can take a look at the index, read some excepts and buy it online here (e-book or hardcover). Boron-Based Compounds offers a summary of the present status and promotes the further development of new boron-containing drugs and advanced materials, mostly boron clusters, for molecular medical diagnostics. The knowledge accumulated during the past decades on the chemistry and biology of bioorganic and organometallic boron compounds laid the foundation for the emergence of a new area of study and application of boron compounds as lipophilic pharmacophores and modulators of biologically active molecules. 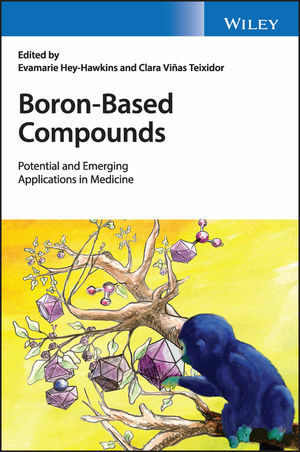 This important text brings together in one comprehensive volume contributions from renowned experts in the field of medicinal chemistry of boron compounds. The authors cover a range of the most relevant topics including boron compounds as modulators of the bioactivity of biomolecules, boron clusters as pharmacophores or for drug delivery, boron compounds for boron neutron capture therapy (BNCT) and for diagnostics, as well as in silico molecular modeling of boron- and carborane-containing compounds in drug design.